The Garden is an open state of mind between body and technology, space and movement, soundscapes and everyone present. Trondheim Voices wishes to create ” spaces of possibility” based on musical improvisation. The Garden is a continuation of the collaboration with artist Ann-Cathrin Hertling, who works with live art projects, and sound designer Asle Karstad. Maccaphone (Asle Karstad and Lau Karstad) has developed the system Maccasolve, a mobile effect system, specifically for Trondheim Voices. The system creates an opportunity for the singers to directly produce their own vocal sound, and be fully mobile. Along with Ann – Catrin Hertling they have established a form of musical expeditions, where movement and space are equally as important components as musical material in the improvisation process. Hertling and Trondheim Voices are constantly striving to expand the concert format and create spaces where fixed identities, rules and norms are challenged for both audiences and performers. Since Trondheim Voices are visiting Trøndelag Theatre in the play “A Hundred Secrets” by Circa Teater, they wish to also occupy the theater’s foyer with “The Garden”. Here they will search for connections between the body and technological applications, the room and audience and especially within the ensemble itself, creating resonating and unconscious connections to everything that constitutes the present moment; a garden where musical seeds are sown and allowed to grow wild, and where new meetings between people, space and music can occur. 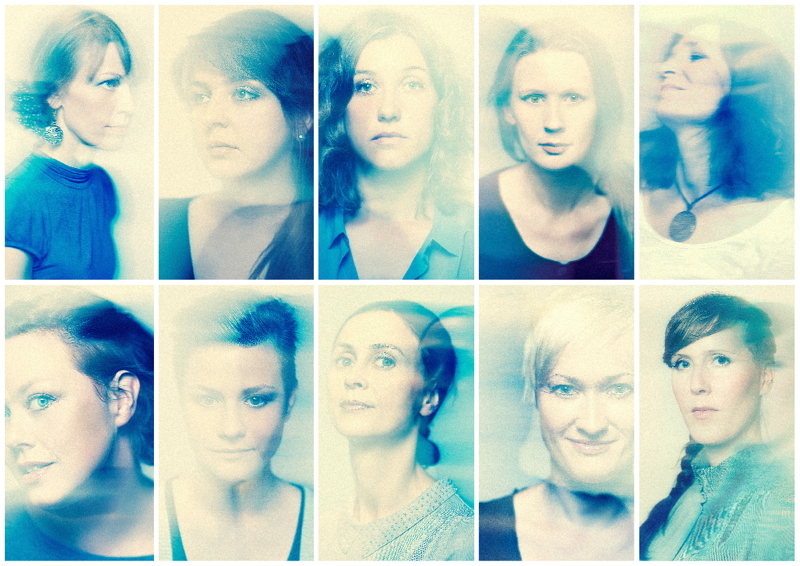 The project is a collaboration between Trondheim Voices and Wild at Art, Trøndelag Teater and Meta.Morf. Trondheim Voices explores the fringes of improvisation through vocal music, movement, space and experimental communalities. The unique collection of soloist singers create complex soundscapes, constantly verging on beauty and chaos, using everything around them. Their repertoire contains elements from both avant garde composition and well known pop songs and at the center of their performance you will always find flexibility, presence and a massive gallery of vocal expression. Trondheim Voices grew out of the influential improvisation environment that has come to characterize the Trondheim music scene. While working with some of the most important contemporary Scandinavian composers (Jon Balke, Mats Gustfsson og Marilyn Mazur a.o.) they challenge traditional musical formats by working with Live Art-artist Ann-Cathrin Hertling as well as sound designer Asle Karstad. Hereby establishing themselves as one of the most innovative ensembles in Scandinavia.